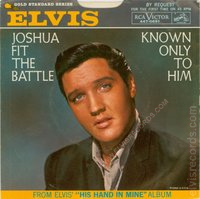 Disc: White label, NOT FOR SALE. 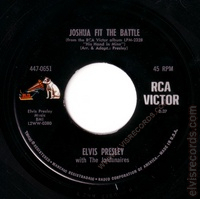 Recorded date on left side. Disc: White label, NOT FOR SALE. 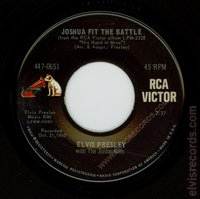 No Recorded date on left side. Disc: Black label, dog on side. Recorded date on left side. 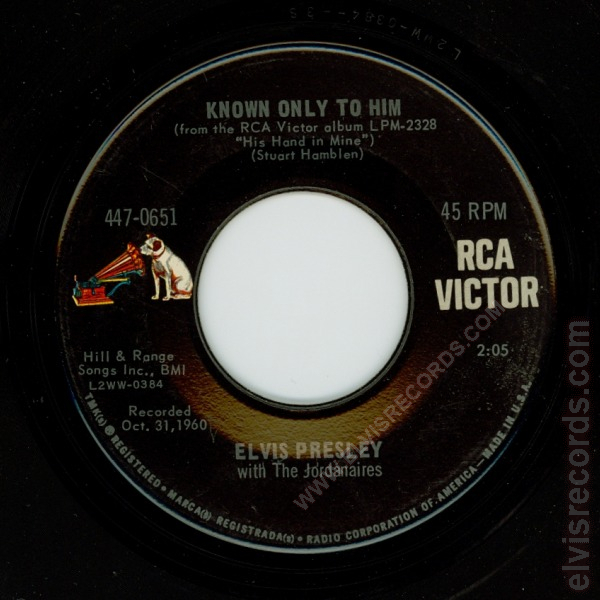 ELVIS PRESLEY is flush with with The Jordanaires. 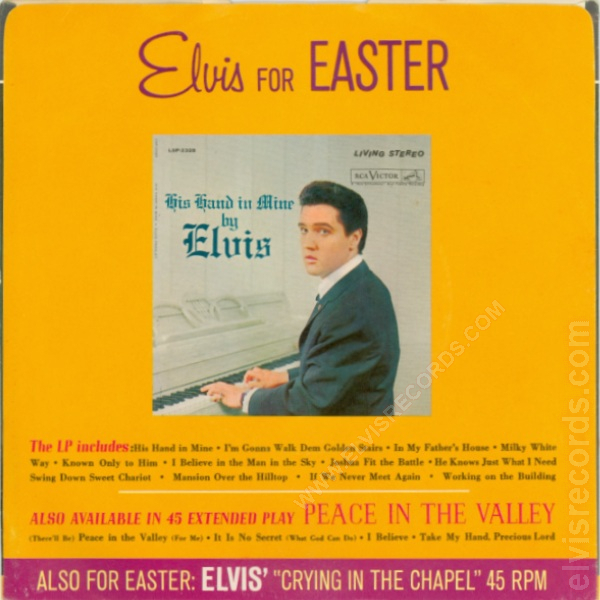 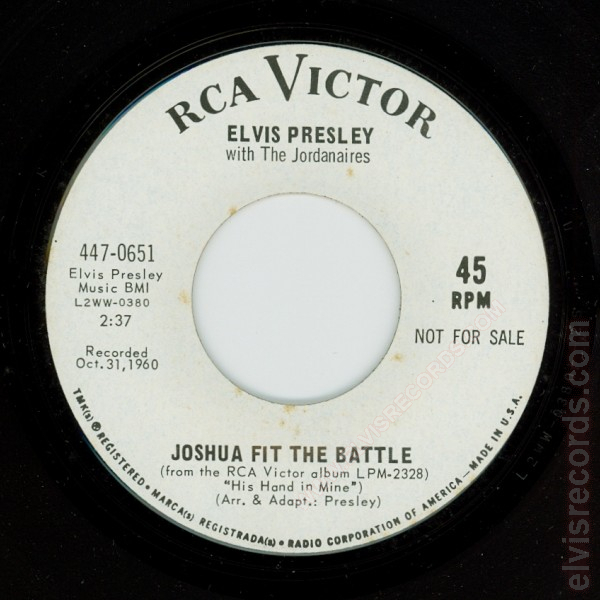 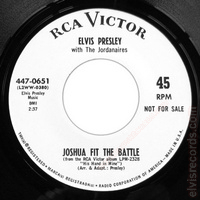 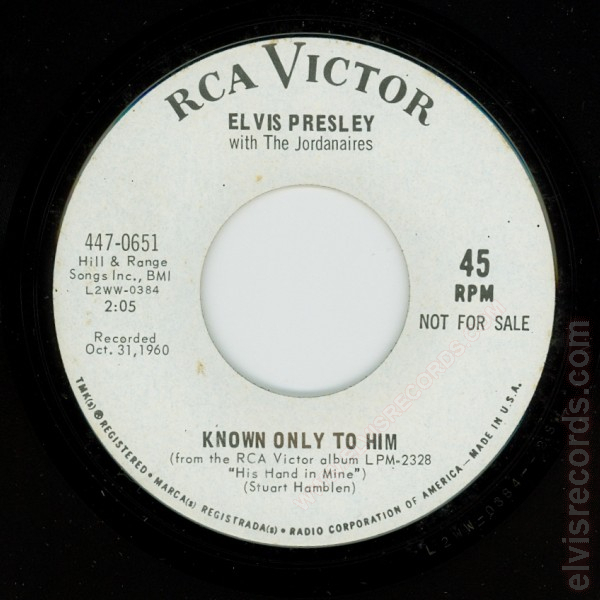 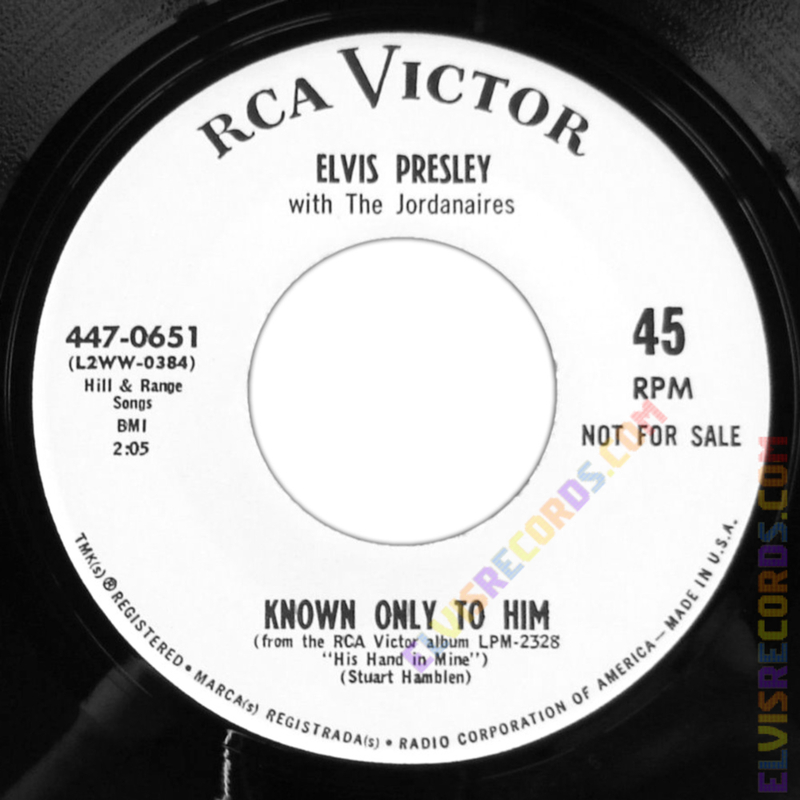 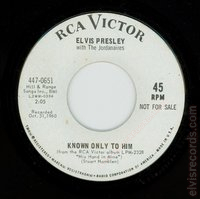 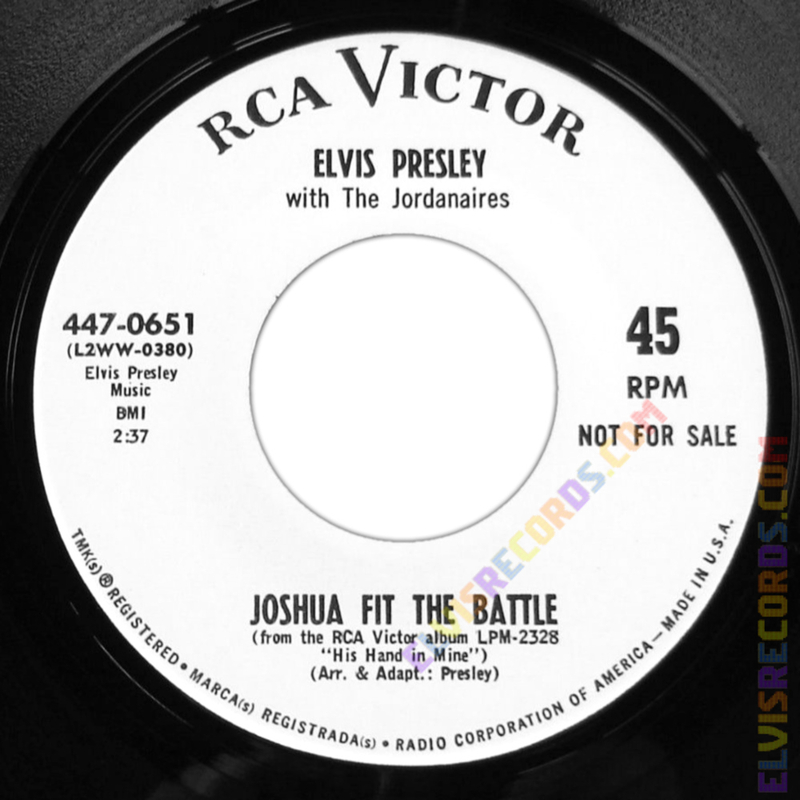 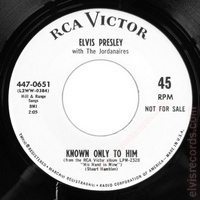 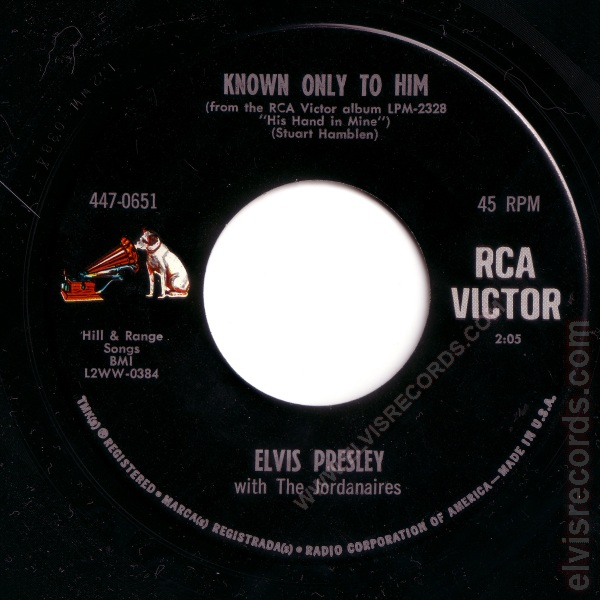 On the JOSHUA FIT THE BATTLE side, Elvis Presley Music BMI is on two lines and on KNOWN ONLY TO HIM side, Hill & Range Songs Inc., BMI is on two lines.